her way in the gritty New York art world of 1981. When Verna Swenson enlists in the WAVES in 1943, the Navy assigns her to train pilots. But teaching men to fly may be an impossible job. It’s the psychedelic ‘70s at an alternative college in Vermont. Five mismatched lovers pursue a midsummer night’s dream as wild as the surrounding woods. On an ill-fated biking tour through France, a group of Americans confront the civilized Stone Age—and the barbaric present. 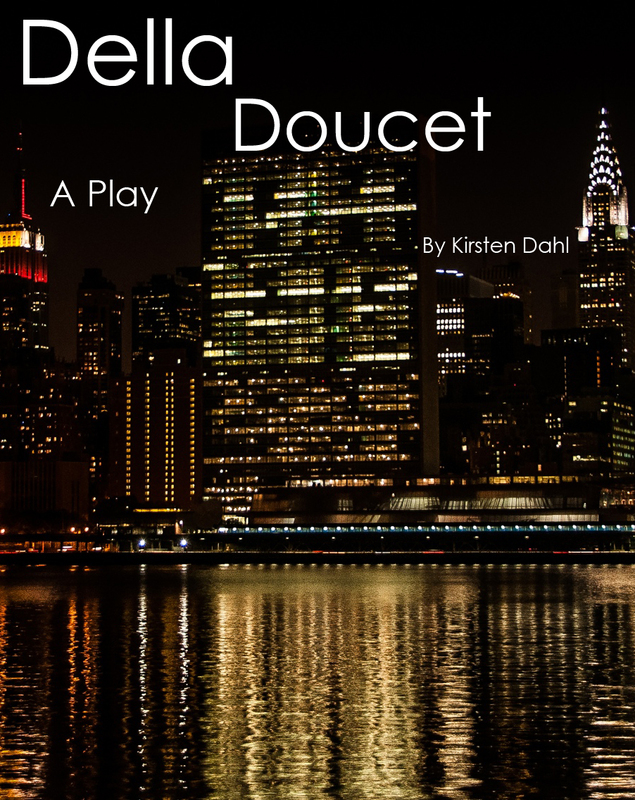 Seventh Annual Neil Simon Festival New Play Contest: Della Doucet named a 2017 semi-finalist in this national competition. 85th Annual Writer's Digest Writing Competition, 2016: Della Doucet was awarded an Honorable Mention in the Stage Play category of a national contest with 6,000 entries. Edge Theatre, 2015-2016 On Your Feet festival of new plays: semifinalist. Jim Valone served as Dramaturg. Rough Draught Playground, Sept. 2014: Staged reading of scene from this dramatic comedy with Missy Moore as Della, Marc Moran as Taxi Driver and Vasek, and Maggy Stacey as Working Woman. Susan Lyles directed. Rough Draught Playground, April 2016: Staged reading of scene from this psychological murder mystery with Emily Paton Davies as Amarantha, Mark Collins as Hughes, and Maggy Stacy as The Magistrate. Melissa Lucero McCarl directed. Denver Theatre Center’s New Play Summit, Feb. 2015: A scene from the play was selected by DTC playwright-in-residence Matthew Lopez for staged reading followed by playwright interview.